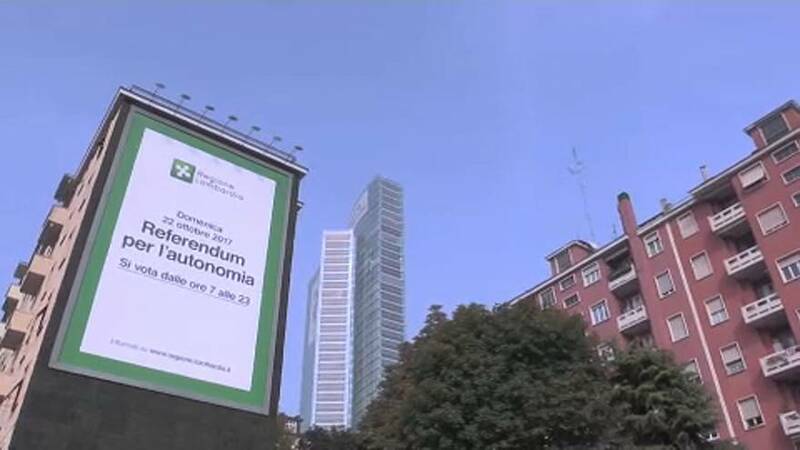 Mixed results for the two Italian regions that held referenda this weekend on more autonomy. The people of Veneto spoke loud and clear, 90% of those voting saying ‘yes’ while in Lombardy only 38% percent of voters turned out, invalidating the result. Turnout was especially poor in the economic powerhouse, Milan. “For me these results are very good, both in Veneto and in Lombardy. Italians, Lombards, have now voted. This massive vote must be taken into account,” said one woman. “For me it was an election campaign for the Northern League Party, nothing else,” said another. “I did not vote because I am opposed to these forms of autonomy, I am for the central state,” was one man’s opinion. “There is a large region that goes beyond Lombardy and Veneto and is the region that Corriere della Sera has identified along the A4, the motorway that cuts across the north from Turin to Trieste, which asks to be positioned more competitively in Europe. This is the most interesting aspect of yesterday’s vote,” said the paper’s Massimo Rebotti. “Asking for more autonomy in Sunday’s vote were three million Lombards and two million Venetians. Five million citizens in all that Rome will now have to deal with. The unknown at the moment is what government will deal with the new autonomous party? We’ll find out shortly in the upcoming national political elections,” reports euronews’ Paola Cavadi.